For the second consecutive week, Greta Van Fleet has started out with a #1 record. When The Curtain Falls, the band’s first single from its debut album Anthem of the Peaceful Army (Lava Records/Republic Records), tops this week’s Mediabase Active Rock and Billboard’s Mainstream Rock Songs charts, becoming the band’s third #1 track. “When The Curtain Falls” has accumulated more than 24-million Spotify plays, and the companion music video has just surpassed 5.5-million YouTube views. 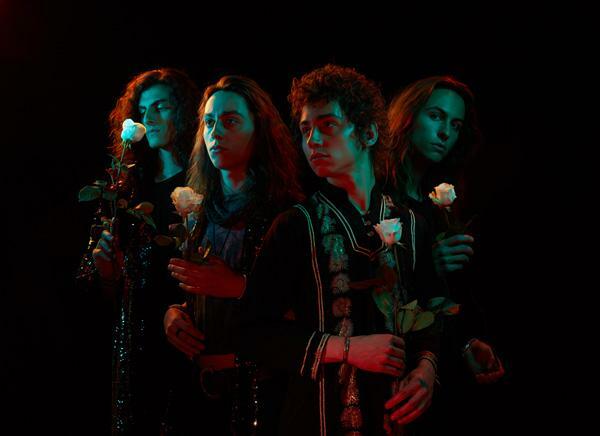 Greta Van Fleet’s debut single, “Highway Tune, went to at #1 at Active and Mainstream Rock Radio in Fall, 2017 and held that spot for five weeks; the band’s second single, “Safari Song,” took the #1 spot in February, 2018 and stayed there for three weeks. Greta Van Fleet is currently halfway through its sold-out Fall European tour, and will close out a very eventful 2018 with nine sold out shows in New York, Chicago and Detroit. All remaining dates are below. 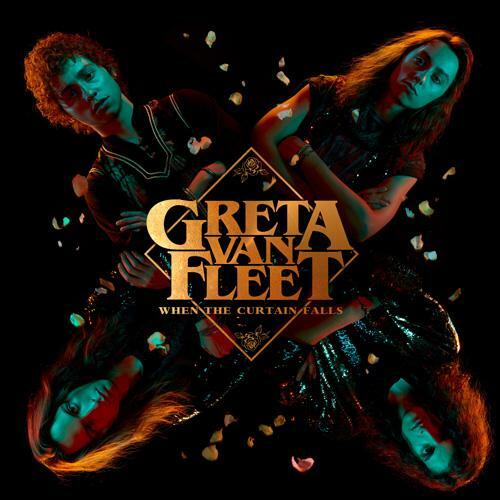 Since the March, 2017 release of “Highway Tune,” the band’s first single that claimed the #1 spot at Rock Radio for five consecutive weeks, the four members of Greta Van Fleet – Josh Kiszka/vocals, Jake Kiszka/guitar, Sam Kiszka/bass and keys, and Danny Wagner/drums – have been on a wild ride of sold-out concerts in North America and Europe, racked up millions of YouTube video plays and audio streams, received glowing accolades from iconic artists like Elton John, Dave Grohl and Joe Satriani and recorded two #1 EPs. The band’s debut album Anthem of the Peaceful Army (10-19-18), debuted at #1 on Billboard’s Top Album Sales and Top Rock Albums charts, and at #3 on the Billboard 200 chart. Most important, the band has been building an extraordinary connection with its fans.